When I would visit my grandparents as a child I would always help my Granny with the washing on a Monday morning using her twin tub. She’d always having clothes soaking in a pot under the sink which we would always have to add our underwear to each night before bed. I’d help her load up the washer, unload it and move it all into the spinner before adding that rubber disc that looked like swiss cheese on the top. The fun part was pushing down on this to squeeze out as much water as possible before the spin cycle. After the washing was completed I’d help her hang it up on the airer that was above the dining table. Thinking back I never gave it a thought that we were sitting eating our meals underneath the washing whilst it dried. It was only as I read a news report about indoor laundry drying ‘poses a health risk’ that I gave it some thought. I have to confess that when we lived in our flat I’d always have laundry hanging from the door frames to dry instead of walking down to the drying area outside, which, wasn’t exactly secure so it wasn’t just about being lazy. It does make me think back to all the colds etc that Mr. Boo and I had to whether or not the laundry contributed to them. 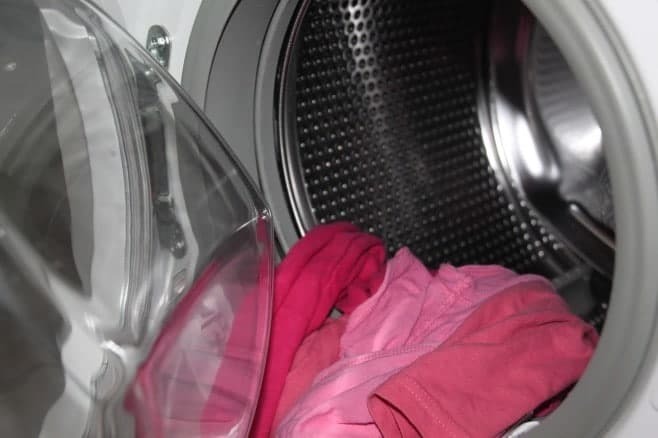 For every load of washing, you dry around your home it gives off up to two litres of water into the air which not only causes condensation, damp and mould spores it is also increasing the dust mite reproduction rate which can then lead to allergies, asthma etc. Families need to balance the need for getting clothes dry especially over the colder months and in bad weather when drying outdoors isn’t an option against the possible health risks that they could face from continuously drying washing around their home. The easiest solution for indoor drying has to be the tumble dryer. 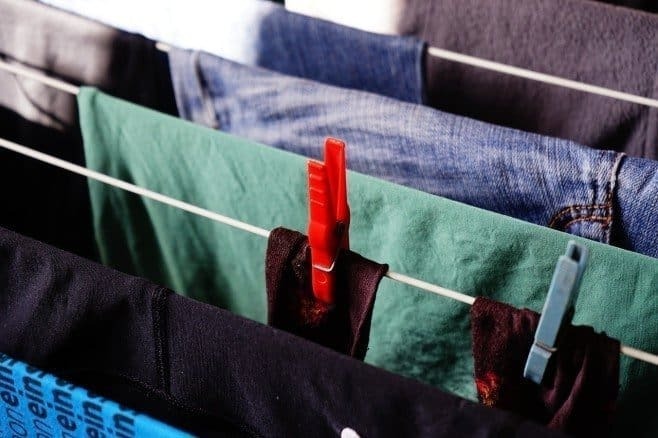 Over the years, they have had a bit of a back reputation, however, with changes in technology they are becoming more energy-efficient as well as intelligent to sense when the moisture level is low and will stop drying so that you don’t over dry your clothes. With limited space available within our homes having a tumble dryer might not be practical, however, a washer dryer would allow you to have the best of both worlds without taking up too much space in your kitchen. A washer dryer would also give you the option to switch automatically between washing and drying without having to unload and reload – saving you much-needed time, perfect for busy family life. Many new homes are now being built without the space available to dry clothes indoors. A call to homebuilders is being made to make sure that they allow for dedicated washing areas within new homes to enable washing to be washed and dried without causing excess moisture to get into the air and to help reduce the increase in dust mites causing Asthma etc from drying clothes around the home. Bringing back the days of when we had airing cupboards, which were warm, well-ventilated spaces that gave homeowners the opportunity to dry their washing indoors without the untidy look of washing hung up everywhere but most importantly in a way which didn’t affect them health wise. Sometimes there just isn’t an alternative for indoor drying, in which case then try to make sure that you place washing in a well-ventilated area and in front of a large south-facing window where possible.